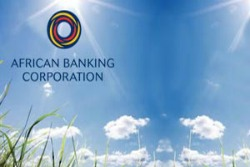 DUAL-LISTED banking group, ABC Holdings Limited profit for the half year to June this year more than doubled to Botswana Pula 128,5 million compared with the same period in 2012. The increase was driven by a strong growth in net interest income from its retail banking units in Zimbabwe and Botswana. 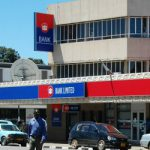 The bank is planning to raise a further US$100 million this year to consolidate its expanding regional operation, after injecting US$50 million through a rights offer last year. The new cash would be mobilised through debt to avoid diluting minorities. 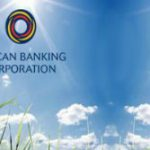 The US$50 million cash call helped the group’s flagship banking operation, BancABC, meet new minimum capital requirements in Zimbabwe. ABC has a primary listing on the Botswana Stock Exchange and has a secondary listing on the Zimbabwe Stock Exchange. The group, which reports its results in the Botswana Pula (BWP), said its net interest income increased by 74% to P476 million during the period under review. 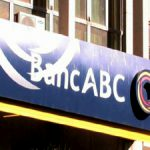 In a statement accompanying the group’s financial results, ABC Holdings chairman Howard Buttery said the retail banking segment was the major driver for the growth experienced during the period under review. “This business has now achieved critical mass in BancABC Botswana, BancABC Zambia and BancABC Zimbabwe. As a result the three subsidiaries posted very strong sets of results,” Buttery said. 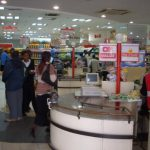 “BancABC Mozambique is profitable, but current period performance was hampered by costs of expansion into the retail space which will only start contributing to revenue in the coming period. The group’s net impairments increased 351% up to BWP 146 million. “BWP129 million of this charge was in respect of three clients, with one in each of Zimbabwe, Tanzania and Mozambique. The balance of BWP17 million was largely from portfolio impairments driven by the growth in the loan,” management said. Buttery said operating expenditure increased by 40% to BWP 529 million for the year ended June 30, 2013 as compared to BWP379 million recorded in 2012 due to expansion in retail banking footprint. He added that non-interest income was up by 58% to BWP371 million underpinned by an increase in transaction volumes across all subsidiaries. Profit attributable profits to shareholders grew by 157% to BWP143 million for the year ended June 2013 from P56 million in 2012. Pre-tax profit increased by 77% to P169 million for the year ended June 30, 2013 as compared to P96 million in prior year. Buttery said the balance sheet growth was muted largely due to a deliberate policy to slow down on lending and manage the group’s liquidity position more conservatively.